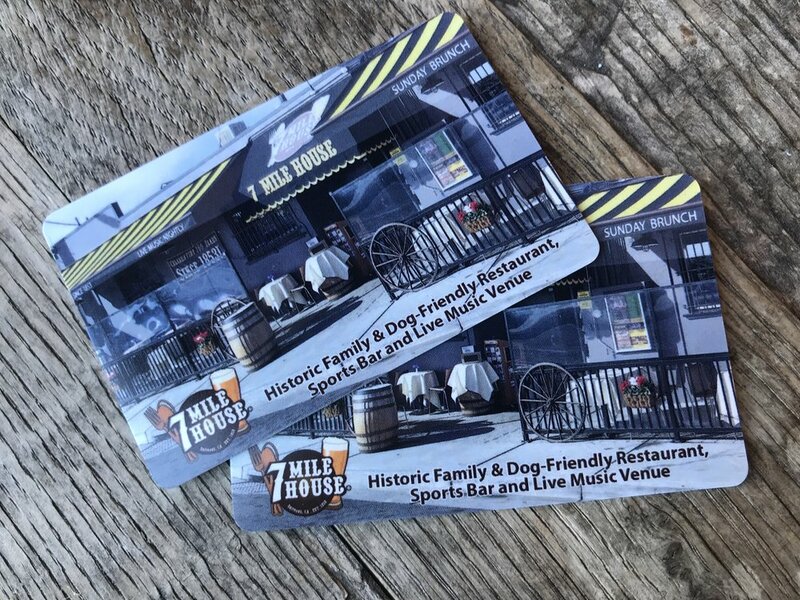 7 Mile House is an historic, award-winning, family and dog-friendly restaurant, sports bar, and live music venue in the San Francisco, Peninsula! Buy Your Early Bird Tickets For Jazz Fest! Stay Connected! SUBSCRIBE TO OUR NEWSLETTER, get a free Appetizer AND EXCLUSIVE DEALS! Established in 1858, the historic 7 Mile House is an award-winning, family and dog-friendly restaurant, sports bar, and live music venue, serving up a unique mix of homestyle Italian/American/Filipino food. Located in the San Francisco/Bay Area for 160 years, 7 Mile House is the only mile house left standing in its original location; and has a colorful history from its rebel days in the 1800s, to a trucker/biker hangout, and an infamous sports gambling joint in the 80s. Today, they are the most popular restaurant and bar in the neighborhood boasting great food, drinks, sports via satellite and live entertainment every single night. Thank you for voting for us in 2018! Give the gift of 7 Mile House!